TOTAL EARNED = Revenue amount earned in this period. Monetized Videos = Number of videos available for monetization. Releases (name of single or album). 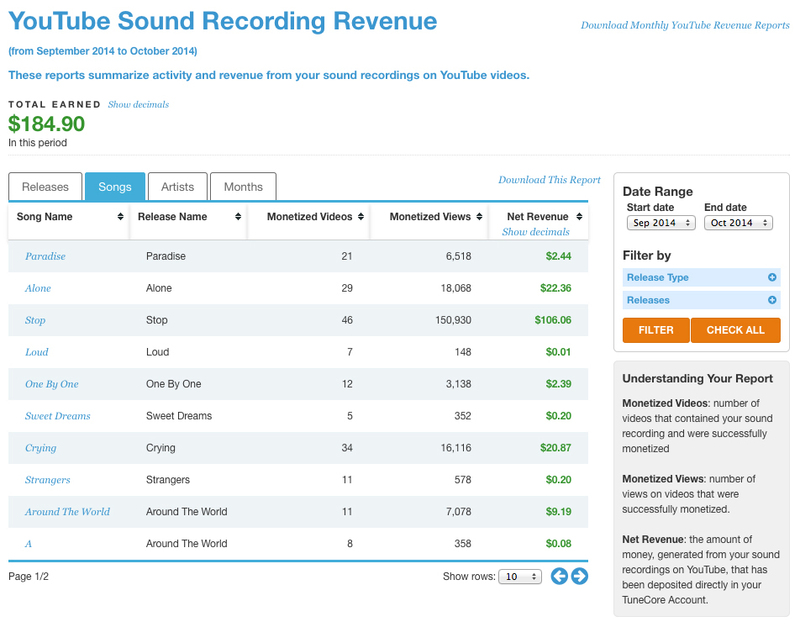 The Songs Tab shows your revenue by song. This page focuses on the Song Name and Release Name. The Release name is the same name for singles. However, if the track is from an album, the album’s name is listed here. Tracks that haven’t been submitted for monetization will not show up on this list. If a track doesn’t appear on YouTube at all and has never earned any money, it will not show up on this list. 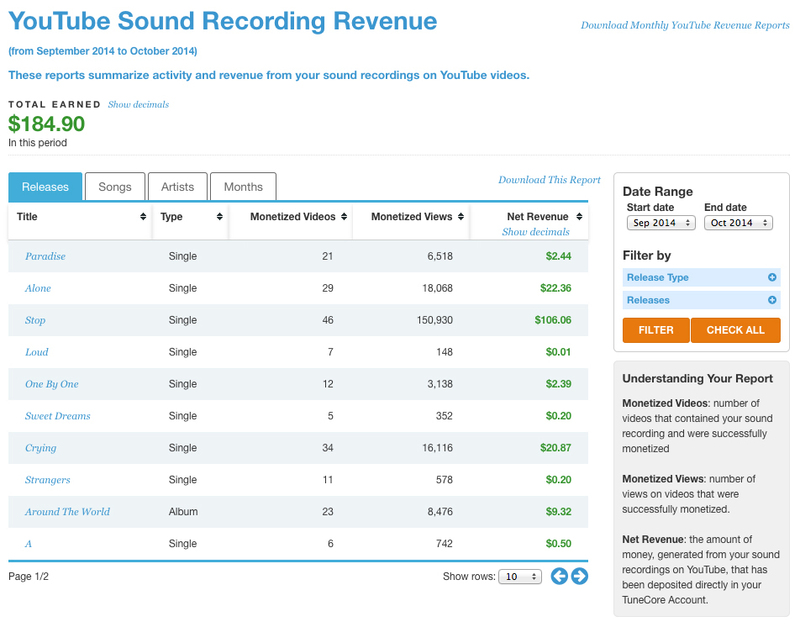 The Artists Tab displays revenue by artist, as the artist is defined on your release. This tab exists mostly for label managers who might have revenue from several different artists deposited into one account. 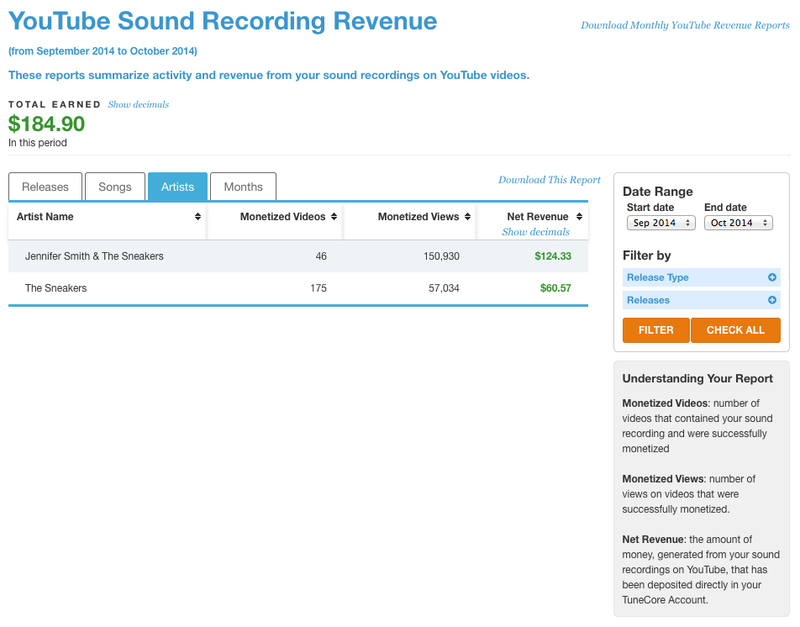 The Months Tab displays your YouTube revenue by reporting period. 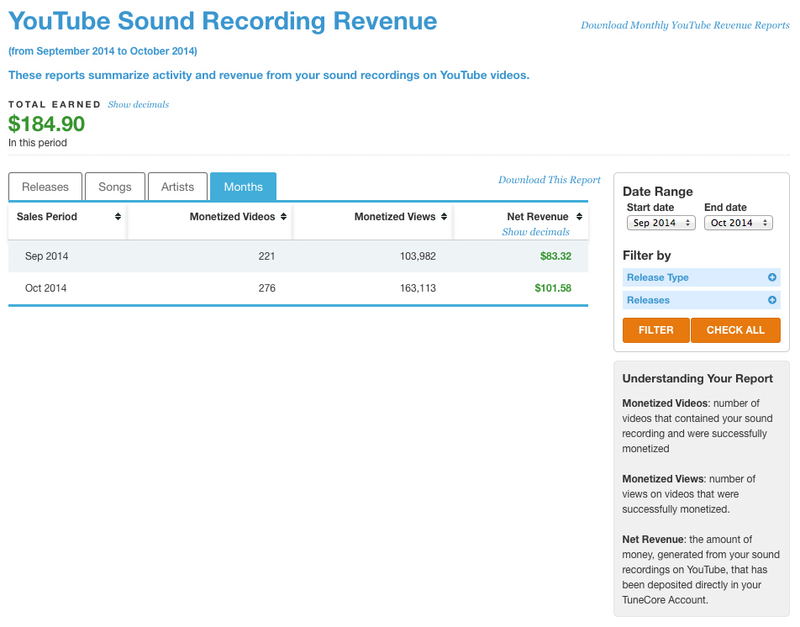 If you are a sound recording revenue customer, log into your account and under the "Money & Reports" tab click on "YouTube Sound Recording Revenue" for your latest report.